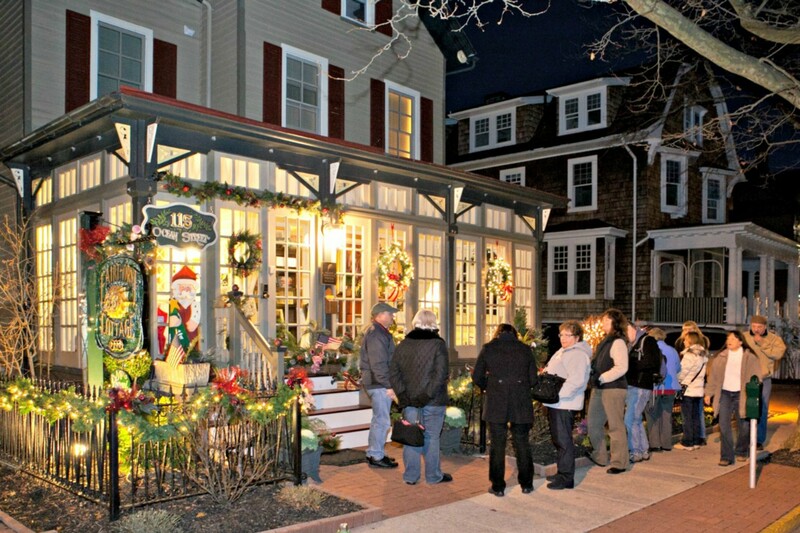 41st Cape May Christmas Candlelight House Tour, taking place Dec. 6, 13 & 27, displays America’s largest collection of historic Victorian structures dressed in holiday finery. The self-guided tours will feature at least a dozen homes, inns, hotels and churches each evening. TRENTON, N.J. – The Garden State will sparkle with candlelight tours, glittery floating Christmas trees, finely festooned Victorian homes, and historic lighthouses decked with Yuletide greenery. Across New Jersey’s neighborhoods, townships and seaside retreats, December is celebrated with tradition and 21st century twists. Check the list of festive offerings at www.visitnj.org. Here is a look at some of the highlights of the season. At 36 feet, Cranbury claims New Jersey’s largest Christmas tree with 46,000 lights – more than the Rockefeller Center tree in New York City! Beginning Nov. 28, the entire holiday display of 120,000 lights will be choreographed with 19 songs – four new ones this year, and dance to the music for 70 minutes. New Jersey’s Number One Christmas Display for Charity will light up Cranbury for those in need and 100 percent of all donations made given to the Local Food Bank. A way of giving back to community, one New Jersey family prepares and pays for the annual free holiday display and asks visitors to donate what might have been spent on a family night at the movies – all for a good cause. www.cranburychristmaslights.com.